Tell us what you need by calling 888-210-2436 or by using our quick and easy form to get started on a FREE ASSESSMENT. Carpet Cleaning Bel Air, CA – Don’t let dirt and grime build up beneath the surface of your carpet. The deeper the dirt, the more damage it does to carpet fibers and the carpet pad beneath. If your carpet pad wears down the carpet itself will too shortly after. You need to hire a Bel Air carpet cleaner each year to extract the deep dirt and restore the color and quality of your carpet. You cannot simply vacuum carpet or perform spot removal. These forms of cleaning are necessary but insufficient on their own. Deep cleaning is crucial to maintain the quality of your carpet and to help to extend its lifetime. After all, you don’t want to have to purchase new carpet very often due to the high cost. You will want to hire a local carpet cleaning company in Bel Air able to remove the embedded soils and germs without damaging your carpet. For the best results, we advise against steam cleaning companies or services who advertise prices too low to possibly provide quality cleaning. The problem with steam cleaning is the heavy amount of water needed during the process. The companies that use steam cleaning for carpet cleaning use a lot of water to rinse out soap from the carpet. Then the company is unable to extract all of the water and the soap and this leads to saturation, carpet browning and deterioration of the carpet over time. You can avoid all of this if you schedule an appointment with Amazing Care Chem-Dry. We serve Bel Air, Long Beach & Los Angeles County with healthy carpet cleaning homeowners and business owners love! We use a proprietary cleaning solution we call The Natural®. This solution is chemical-free and green. You can find it on the FDA GRAS list for products considered safe for use or purchase. The Natural® uses carbonation to produce bubbles that lift embedded dirt to the surface of the floor. This allows our Hot Carbonating Extraction (HCE) to suction and extract all of the contaminants and dirt and dispose of them away from your home. This process uses less water than steam cleaning, no soap, no chemicals, no detergents and no toxins. It is healthier and drier and safer for your family and your home. You will love Amazing Care Chem-Dry for our amazing service and results! We deep clean furniture too! Furniture and upholstery collect dirt, bacteria and allergens the same as carpet. You need to schedule upholstery cleaning every 12 months so your furniture remains colorful and comfortable. Amazing Care Chem-Dry is able to deep clean and remove deep dirt in furniture fabrics and upholstery. The service is perfect for loveseats, recliners, couches, sectionals, dining room chairs, recliners, ottomans, car interiors and more! We vacuum the loose soil and pet hair from the furniture before we mist The Natural® solution on the upholstery. After The Natural® sets in, we use Hot Carbonating Extraction (HCE) on the furniture to permanently remove all of the allergens and dirt from your furniture. The entire process is efficient and effective and perfect for allergy sufferers. That’s because our upholstery cleaning is able to remove more than 98% of the allergens in your furniture! Find out more about our upholstery cleaning. We offer tile cleaning in Bel Air for tile and stone floors in your home. The process removes germs and dirt from grout for a healthier and shinier floor you will love! Amazing Care Chem-Dry tile cleaning includes an inspection, deep cleaning and sealant. First, we evaluate the construction of the tile or stone to determine the proper care and solutions for it. Then we tape off the rooms adjacent to the floor to protect carpet and hardwood from our cleaning solutions and equipment before the deep cleaning process begins. During the process, we evaluate the progress and results to ensure everything looks great! After we are done cleaning, we apply sealant to the grout and tile for a new layer of protection to fight off bacteria and dirt. Learn more about the benefits of our tile cleaning. 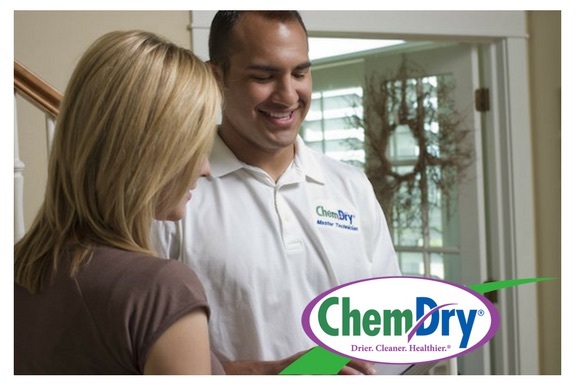 Schedule services from Amazing Care Chem-Dry today! Call (562) 244-2975 or fill out our FREE assessment request.